Wait, the Twins are winning? How did that happen? There's nothing impressive about the Twins' overall hitting numbers. They've batted .257 with 35 homers and 112 walks in 45 games, ranking 20th among MLB teams in both on-base percentage (.311) and slugging percentage (.388). They also haven't done much running under new manager Paul Molitor, stealing just 18 bases while being thrown out 11 times. And yet they've scored the eighth-most runs in baseball, including an AL-best 5.1 runs per game since their 1-6 start. As a team the Twins have hit .257 with a .699 OPS overall, but with runners in scoring position they've hit .294 with an .806 OPS. When the bases are empty they've hit .240 with a .654 OPS, but with runners on base they've hit .282 with a .760 OPS. Whether you want to chalk up those huge differences to clutch performances, pure luck, or something in between it's easy to see why the Twins' lineup has scored a lot more runs than the overall numbers would suggest. They've also done an exceptional job of clustering their hits together, exploding for big, multi-run innings to knock out the opposing starting pitcher or put a game out of reach. That's partly tied to the aforementioned significant uptick in production with runners on base and especially runners in scoring position, but it goes beyond that to an offense that has focused an unusually high portion of its damage within one inning per game. Or, put another way: If a team averages nine hits per game they'll score a whole lot more runs if five or six of them are clustered together in the same inning than they would with a more even distribution of 1-2 per inning. Again, whether you want to chalk up the clustering of hits to clutch performances, pure luck, or something in between anyone who's watched the Twins this season can tell you their ability to explode for a big inning has been remarkable to see. 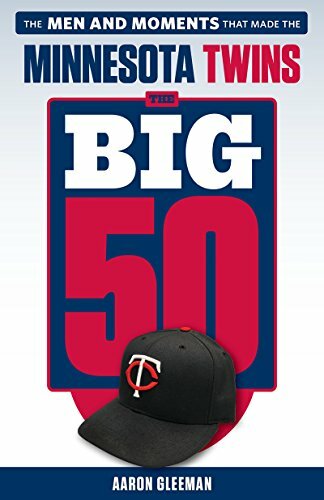 This year the Twins have scored four or more runs in an inning 15 times in 45 games, which is a pace of 54 times per 162 games. On average from 2011-2014 the Twins scored four or more runs in an inning 29 times per 162 games. So they've upped their OPS by 100 points with runners in scoring position, they've maximized a modest amount of overall damage by clustering it together, and they've exploded for a huge inning to put a game out of reach 2-3 times per week. And that's how a lineup that ranks 20th in OPS can rank eighth in runs scored. This season, like last season, the Twins' bullpen ranks dead last among all MLB teams in both strikeout rate and xFIP. Their rank in ERA is essentially unchanged from 23rd to 21st. However, within that all-too-familiar sub par performance from Twins relievers is some very good work in the late innings of close games. They've been bad overall, but in high-leverage situations where giving up a run could change the outcome of a game they've actually been quite good. Glen Perkins is responsible for a lot of that. His excellence in the closer role is nothing new--he's already one of the three or four best relievers in Twins history--but he's been nearly flawless this season by converting 17 of 17 save chances with a 1.25 ERA and 21/2 K/BB ratio in 22 innings. Perkins ranks third among all relievers in Win Probability Added, which accounts for the situations in which performances occur within games and how that impacts the team's odds of winning. His primary setup men have also thrived in high-leverage spots, which is shocking considering his primary setup men are journeyman minor-league signings Blaine Boyer and Aaron Thompson. Boyer is 32 years old and came into this season with a 4.63 ERA in the majors and a 5.31 ERA at Triple-A. He was terrible during the opening week, giving up runs in each of his first four games. And since then he's allowed a grand total of one run in 20 innings. Thompson didn't even make the Opening Day roster, but quickly leapfrogged Brian Duensing and Caleb Thielbar in the hierarchy of lefty setup men. At age 28 he came into this season with 15 innings in the majors and 980 innings in the minors. And now he leads the American League with 23 appearances, 14 of which have come in "close and late" situations, and he's been nearly unhittable in those spots while holding lefties to a .094 batting average overall. Thompson and Boyer both crack the top 10 in Win Probability Added among all American League non-closers and no trio of relievers in the league has a higher cumulative WPA total than Perkins, Thompson, and Boyer. They've combined for a WPA of 3.23 and the rest of the Twins' bullpen has a negative WPA, because in "close and late" situations the bullpen has held opponents to a .211 batting average and .536 OPS compared to a .314 batting average and .907 OPS in other spots. And that's how a bullpen that ranks 21st in ERA can rank third in Win Probability Added. Make no mistake, the rotation hasn't been good and Twins starters again rank dead last among all MLB teams in strikeouts. However, even being "not good" is actually a step up from the disastrous 2011-2014 rotation that ranked dead last in strikeout rate, ERA, xFIP, Wins Above Replacement, and opponents' batting average. For four years the Twins' rotation was a dumpster fire on which each new starter would pour more gasoline and now it's merely a standard bag of trash. Depth has played a big part. Instead of constantly dipping down into the minors for a parade of replacement-level (or worse) starters the Twins actually have more decent rotation options than actual rotation spots, which is why Tommy Milone is currently dominating Triple-A hitters and the team is a month away from facing a tough decision when the biggest free agent signing in franchise history, Ervin Santana, returns from an 80-game suspension. Twins starters rank 25th in xFIP thanks largely to the lack of strikeouts, but because they've been better at wriggling out of jams and limiting damage within troublesome innings the rotation sits right in the middle of the MLB pack in ERA at 15th. Whether you choose to put your faith in ERA or xFIP, going from dead last by a wide margin to somewhere within the realm of respectability has a huge impact on a number of fronts. Compared to 2011-2014 the rotation is remaining in the game nearly 10 percent longer per start and surrendering 20 percent fewer runs per inning. Not as many games are already out of reach within the first few innings due to the starter blowing up and exiting early, which in turn leads to a less-taxing workload for the bullpen's middle relief underbelly and more of an opportunity for the Twins' lineup to explode for big, game-breaking innings of its own. And that's how a rotation that ranks 25th in xFIP can still be a massive improvement. To hear two podcast hosts try to figure out how to feel optimistic about their favorite team again, check out this week's "Gleeman and The Geek" episode. Topics for this week's "Gleeman and The Geek" episode included the Twins actually getting competent starting pitching, what they'll do when Ervin Santana's suspension ends, Alex Meyer's move to the bullpen at Triple-A, Kennys Vargas crushing Triple-A, Tim Stauffer getting way more trust than he deserves, running away from the regression monster, Brian Dozier picking up where he left off in 2014, and whether or not to demote Danny Santana. 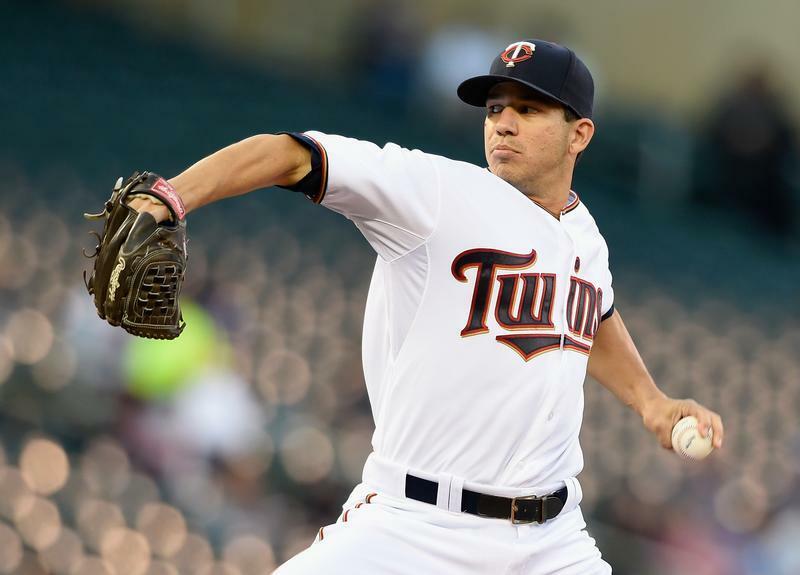 Tommy Milone is dominating at Triple-A, but does it matter? For the second season in a row Tommy Milone got demoted to Triple-A despite being at an age, experience, and performance level where players rarely get sent to the minors. Last season he had a 3.55 ERA through 16 starts in early July when the A's demoted him to Triple-A and later traded Milone to the Twins for Sam Fuld. 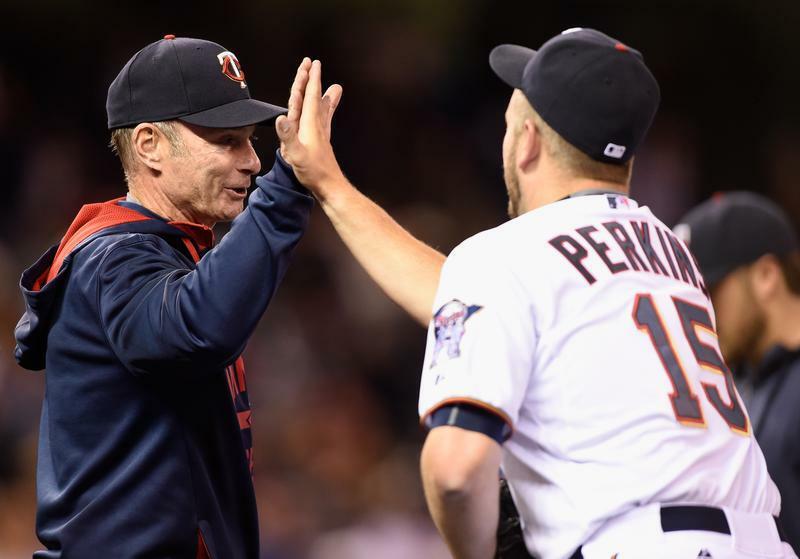 This season the demotion to Triple-A came after four starts, as the Twins bumped him from the rotation for Trevor May despite a $2.8 million salary. Milone is 28 years old with a 4.02 ERA in 513 innings as a major leaguer. His raw numbers have been helped by calling Oakland's pitcher-friendly ballpark home for most of that time, but Milone has proven to be a useful back-of-the-rotation starter and certainly deserves to be in the majors. However, the A's last year and the Twins this year found themselves with a rotation logjam and Milone's lack of velocity and upside helped him draw the short straw. Last year Milone pitched poorly following his demotion to Triple-A, but this time around he's been ridiculously good. In three starts for Rochester he's 3-0 with a 0.00 ERA, throwing 23 consecutive scoreless innings. That includes back-to-back starts in which he threw eight shutout innings with 12 strikeouts and zero walks on May 13 and threw a complete-game shutout with 13 strikeouts and zero walks Monday. Seriously. Milone did that. Pounding the strike zone against Triple-A hitters isn't surprising, because Milone did that back when he was a prospect coming up through the Nationals' farm system. Back in 2011, when he was 24 years old, Milone posted a 155/16 K/BB ratio in 148 innings at Triple-A, which is what convinced an MLB team to call up a diminutive left-hander with a mid-80s fastball. For his career Milone has started 34 games at Triple-A with a 3.04 ERA and 223/30 K/BB ratio in 210 innings. Milone is an example of why it's important to truly and fairly factor in both performance and raw stuff when evaluating pitching prospects. Based strictly on his performance in the minors, which included outstanding strikeout, walk, and home run rates, Milone would have looked like a future ace. Based strictly on his raw stuff, which included a fastball that topped out in the high-80s and no exceptional breaking ball, Milone would have looked like a Triple-A lifer. Instead he's proven to be somewhere in between, putting together 500-plus innings as a decent fourth or fifth starter for three different teams through age 28. All of which is a long way of saying that what Milone has done at Triple-A since his demotion by the Twins is noteworthy because 23 straight shutout innings with a 33/2 K/BB ratio is always noteworthy, but he's still the same guy. Useful and deserving to be in the majors, but unlikely to be a big upgrade for the Twins. In back-to-back Triple-A starts Milone had 12 strikeouts and 13 strikeouts, but he's never topped 10 strikeouts against an MLB lineup and has recorded six or fewer strikeouts in 77 of his 87 career starts in the majors. It's possible his dominant stretch for Rochester will convince the Twins that Milone is back on track and ready to resume being a 4.00-4.50 ERA starter, but it's also possible they still don't feel that's worth bumping anyone from the current rotation. 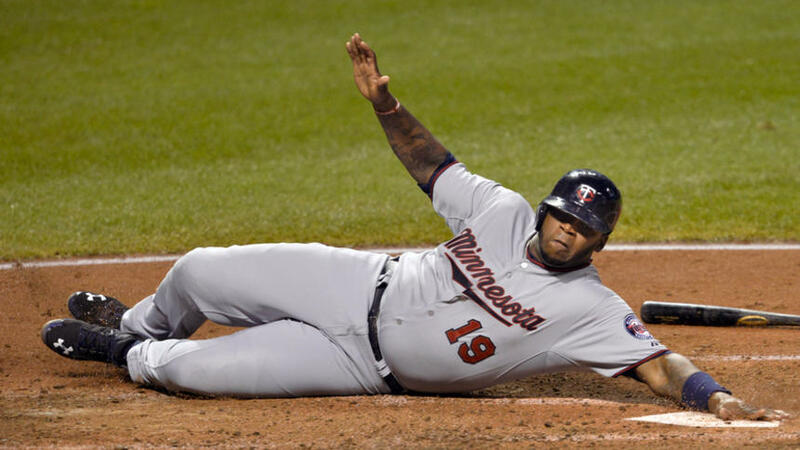 Last season when the Twins dumped Kendrys Morales and his remaining salary on the Mariners in late July they called up Kennys Vargas to replace him as the starting designated hitter. It was an unexpected move because Vargas was a good but not great prospect putting up good but not great numbers at Double-A as a 23-year-old. Vargas arrived with a hot bat, hitting .330 with four homers, seven doubles, and an .875 OPS in his first 25 games despite an ugly 29/4 K/BB ratio. Vargas then cooled off considerably by hitting .223/.276/.402 with 34 strikeouts in his final 28 games, but he finished the season with solid overall numbers and faced little competition for the Opening Day designated hitter job this spring. He got off to a brutal start this year, hitting .172 in April, but the Twins stuck with Vargas and he hit .366 with two homers, two doubles, and a .956 OPS through a dozen May games ... at which point they demoted him to Triple-A. There was some writing on the wall, as manager Paul Molitor repeatedly benched Vargas during his hot streak, but demoting a player in the midst of a productive stretch following an extended slump is odd timing to say the least. Odder yet, Vargas' good stretch came immediately after the Twins worked with him to adjust his swing mechanics. It paid off, as Vargas notched 14 hits in 10 starts this month and also delivered a pinch-hit homer. And now he's in Rochester. Vargas' strike zone control absolutely needs improvement after striking out 93 times compared to just 17 non-intentional walks in 82 games for the Twins and further developing that skill against minor-league competition could be a good idea. Which is why it was surprising when the Twins promoted Vargas from Double-A to majors last year and why the timing of this year's demotion, rather than the demotion itself, is what stands out now. What also stands out now is the Twins' lack of other appealing designated hitter options. Several times Molitor benched Vargas in favor of Eduardo Nunez and Eduardo Escobar, a pair of utility infielders who each have a career OPS below .700 in the majors and the minors. Now that Vargas is out of the mix Nunez and Escobar figure to see even more action as left fielders and designated hitters, which is a weird thing to do intentionally. In performing poorly enough to get demoted back to the minors Vargas still easily out-produced Nunez and Escobar. And unlike either Nunez or Escobar, there's actually evidence within Vargas' track record as a minor leaguer to suggest he's capable of producing more. Torii Hunter spending more time at DH is also likely in Molitor's plans, but that mostly just opens up an outfield spot for Eddie Rosario and there's little to indicate he's ready to out-produce Vargas either. It'd be one thing if the Twins demoted Vargas and replaced him with another young hitter with DH-caliber potential like Josmil Pinto or if Oswaldo Arcia was due to return from the disabled list shortly and they wanted to work him back into the lineup at DH. But to demote Vargas now, when he was seemingly getting on track, and to give his at-bats to a pair of utility infielders and Rosario is a thought process begging to be questioned. 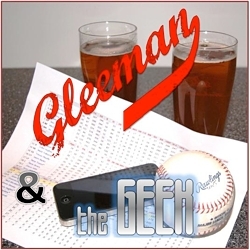 For a lengthy discussion of the Twins' decision to demote Vargas, plus talk about how long Aaron Hicks might stick around, check out this week's "Gleeman and The Geek" episode.